Second Presbyterian Church has had an active Parish Nurse program since 1990. The concept was launched by Ruth Berry through UK College of Nursing, making Ruth the first Parish Nurse in Southeastern United States. The mission of the Parish Nurse is to integrate faith and health for the faith community across the life span. The Parish Nurse understands health to be a dynamic process which embodies the spiritual, psychological, physical, and social dimensions of each person. The program was taken on in 2000 by Jackie Graves after receiving training at Marquette University. 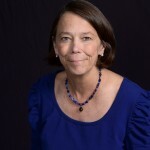 Currently Jackie is a clinical faculty member at UK College of Nursing, an active volunteer for SafeKids Coalition, a board member for Interfaith Counselling Center, and a trustee for Frontier Nursing Service. She is available to the faith community for resources, advocacy, educational information, health counselling, and visitation. Blood pressure screening is available at 10:30 every 2nd and 4th Sunday, or upon request.